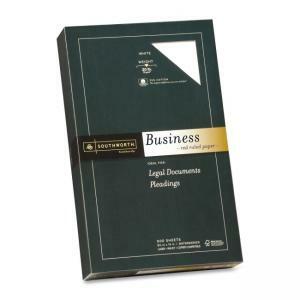 Southworth Ruled Fine Business Paper - Legal 8.50" x 14"
Business paper with a wove finish offers 25 percent cotton content for texture and crispness. Each sheet is watermarked and date-coded for authentication. Acid-free, lignin-free paper is compatible in laser printers, inkjet printers and copiers.